ICICI Bank Recruitment: ICICI Bank invites applications from eligible degree graduates for the role of Probationary Officers. The various eligibility criteria and application process for ICICI Bank PO Recruitment are given below. The candidates selected for ICIC PO Programme need to study Post Graduate Diploma in Banking (PGDB) by Post Graduate Diploma in Banking (PGDB).The Programm fees will be Rs.3,62,250/ (Amount + 15% Service Tax) and Rs.16,354/- (Cost of Tablet + Cover + SD Card + VAT).So total fees will be Rs.3,78,604. Candidates can arrange Fees by themselves(Self-funding) or they can apply for an educational loan in ICICI Bank. After the successful completion of PO programme probationary officers appointed in ICICI Bank, Across the country as Deputy Manager Band I Role. 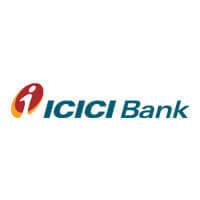 How to Apply ICICI Bank Recruitment? Interested eligible candidates can apply this recruitment in online as soon as possible. Shortlisted candidates will be called for the selection process.